Sarangi is a stringed instrument played by traditional ‘Gaine’ or ‘Gandarbha’ community of Nepal. The Indo-Aryan ethnic group mainly from central hilly region of Nepal makes a living by singing a type of folk song and narrative tales commonly known as ‘Gaine Geet’ or ‘Gandarva Geet’. 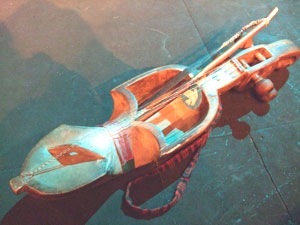 It is believed that Sarangi originated from Nepal. The simplistic design of the instrument made it easy to be manufactured and maintained locally. It is sad that search of sarangi in the internet lands us to Indian musical instrument which is quite different from the Nepali version. Encyclopedias and dictionaries like Britannica, Wikipedia (there is a page for Nepali sarangi however), Farlex, and Oxford Dictionary don’t mention Nepali Sarangi at all. Unlike Classical Indian Sarangi, it has four strings and all of them are played. The neck and body of the instrument are made from a single piece of light wood, locally known as Khirro. The body is carved into a hollow frame with two openings. The lower opening is then covered up with dried sheep-skin. Traditionally the fine nerves from sheep’s intestine were woven to get the strings. Horse-tail hair was originally used for the bow string of the Sarangi. These days nylon strings are preferred to the sheep nerves and horse-tail hair. The instrument is placed vertically on the left knee, suspended in front of the body by means of a cord around the left shoulder, and is played with a bow. The music produced by Sarangi, more than that of any other instrument, is believed to resemble the human voice. This entry was posted in facts and truths and tagged music, Sarangi. Bookmark the permalink. Collecting these videos and information about nepali instrument sarangi , u really did a great job . i wanna thank u a lot for ur work . keep on ur good job. cheers.